Afghan commandos executed a nighttime raid against the Taliban’s “Red Unit” in Helmand province on Monday, seizing more than a ton of hashish valued at $3.4 million in drug trafficking revenue and freeing five captives held for their families’ connections to Afghan government forces. The raid against the elite Taliban fighters, who have been seen outfitted with American and Russian-made tech in propaganda videos, is another in a series of operations meant to disrupt the insurgency’s increasingly narcotics-based methods of financing. 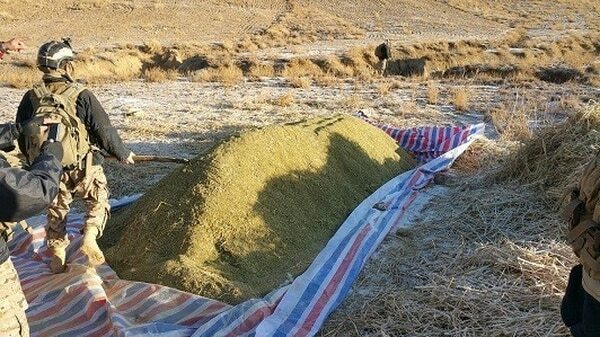 In December, Afghan National Security Forces seized another 34 tons of raw hashish and 300 kilograms of processed hashish in Logar province. That seizure was valued at $5.6 million. 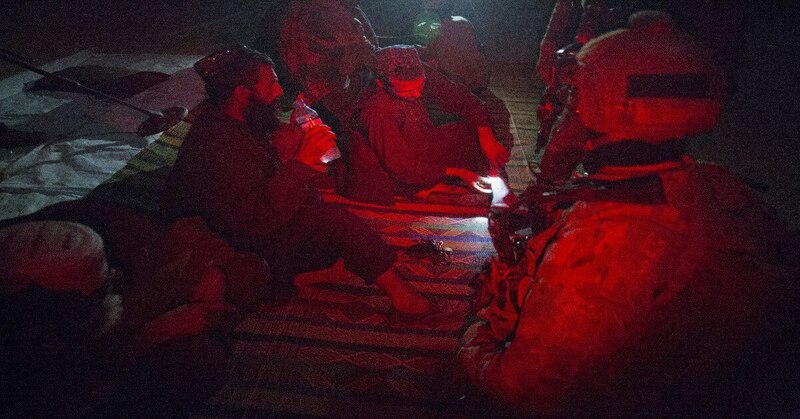 That same month, a village elder from Paktika province was rescued after he refused to pay an illegal $1 million tax imposed by insurgents to fund narcotics, IEDs and other activities, according to NATO Special Operations Component Command. The seizures are in line with the Trump administration’s approach to Afghanistan, as late 2017 was flush with high-profile airstrikes on Taliban narcotics laboratories. Whether those seizures will indeed slow narcotics production and trafficking in Afghanistan is yet to be seen. A report by the Congressional Research Service found that the total area used for poppy cultivation in Afghanistan in 2017 increased by 63 percent from 2016 and was 46 percent higher than the previous record set during 2014. Opium production also increased by 87 percent, according to the United Nations Office on Drugs and Crime. Narcotics trafficking generates an estimated $70 million to $100 million per year for insurgent forces, accounting for “perhaps about 25 [percent] of the insurgents’ budgets,” the congressional report reads. Although the new effort makes larger use of air strikes on narcotics processing facilities, a report by the Brookings Institution released in July 2016 questioned the effectiveness of interdiction efforts alone. “For two decades, opium has been Afghanistan’s leading cash-generating economic activity. Valued at the border, profits from opiates represent about 10-15 percent of gross domestic product,” according to the report. Narcotics leak into the legal economy as well, however, and when those spillovers are taken into account, “drugs easily constitute between a third and a half of the overall economy,” according to the Brookings report. In order to prevent an economic crisis, the U.S. government has previously attempted to balance eradication efforts with development initiatives, like crop substitution. However, most of those efforts were generally poorly implemented and not well-received by locals, according to the Brookings Institution.